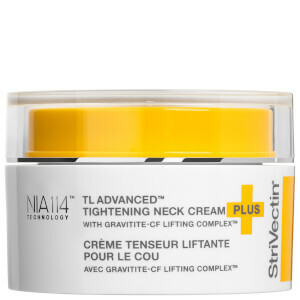 This Tightening Neck Serum Roller is a lightweight, non-greasy neck serum that instantly tightens skin surface as it helps lift and firm skin for a more defined profile. Applied with an innovative massage roller applicator, the tightening and firming serum absorbs immediately into skin. A combination of polymers and NIA-114 technology helps restore and reinforce the skin barrier to retain vital moisture for a hydrated, more supple feel. Over time, resiliency and elasticity are restored, leaving neck and facial contours more defined for a youthful appearance. Paraben-free. Non-comedogenic. Turn applicator to ON position and gently roll over neck and jawline while lightly squeezing tube to release serum. Return applicator to OFF position and continue massaging product into skin. Use both AM and PM. May be used any time of day for an instant pick me up.